New Delhi: Central Board of Secondary Education (CBSE), has conducted the NEET UG 2017 exam today in 104 cities across the country. The results of NEET 2017 will be published in next month while the official answer key of the medical test will be released in this month. 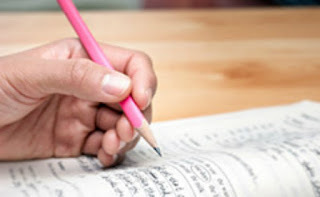 Private educational institutes have come out with various answer keys and cut-off for the exam which was conducted today for the entry into the medical, dental, AYUSH and veterinary colleges across the country. NEET exam was conducted today from 10 am to 1 pm. Rajshekhar Ratrey, VP Educational Content, Toppr.com said, this year, NEET 2017 was moderate in both difficulty and length. "Compared to last year's paper though, this year was slightly tougher on both points", he said. In Physics, Mr. Aakash Chaudhry, Director, Aakash Educational Services said, overall questions were above average and the paper had mix of easy, moderate and difficult questions. "It had almost 50% questions, which were of calculative nature, leading to more time investment by students. Overall, the Physics question paper was time consuming due to fractional calculations. Roughly, 30% questions were theoretical and were brainstorming in nature. Most of the questions had two or more concepts interlinked and were not straightforward", said Mr. Chaudhry. On Physics questions, Mr. Ratrey said that, this year's paper was of moderate difficulty and length; with a lot of calculation-based questions and compared to last year though, the paper was slightly tougher and lengthier. Chemistry, he added that, is generally of moderate difficulty and this year was similar to last year's paper. "Most questions were conceptual and application based. Students strong in both factors would not find it too lengthy either. It was also observed in Set R, question no. 87 (Chemistry) doesn't have any correct option", he analysed. "The paper was of above average level. Nearly 30% questions were difficult and required strong conceptual clarity. One question has ambiguity while two questions were found beyond the scope of NCERT", said Mr. Chaudhry on Chemistry. In his observation, the Biology portion of the NEET 2017 included mostly average type of questions. "Most of the questions were based on the statements given in NCERT but some questions were not directly asked from NCERT. If a student has read the NCERT well, he/she must have fared well in it. A few questions required analytical ability. Overall, the Biology questions were on the expected lines", he said. "Compared to last year though, the paper was slightly tougher. Most question were conceptual, so those with strong concepts would find it solvable in time", Mr. Ratrey commented on Biology Paper. About the expected cut off, Mr. Ratrey said: "Our experts estimate the cut off, for General Category, to lie between 380 and 410". "This year, both 11 th and 12 th standard syllabi contributed equally to the paper. The weightage of questions in Physics was just slightly imbalanced, with 24 and 21 questions from 11 th and 12 th standards respectively. The paper had 19 questions from Mechanics, 5 from Thermodynamics and Kinetic Theory, 9 from Electrodynamics, 5 from Optics and Wave Optics and 7 from Modern Physics", said Mr. Rathrey. In Chemistry, he said that, it was the other way around; with 21 questions from 11 th standard and 24 questions from 12 th standard. The paper had 12 questions from Physical Chemistry, 14 from Organic Chemistry,n12 from Inorganic Chemistry and 4 questions from General Chemistry. "The weightage of questions in Biology was rather balanced, with 44 and 46 questions from 11 th and 12 th standards respectively. The paper had 11 questions from Reproduction, 15 from Genetics and Evolution, 7 from Biology and Human Welfare, 4 from Biotechnology, 9 from Ecology, 11 from Diversity in Living Organisms, 7 from Structural Organization in Plants and Animals, 7 from Cell Structure and Function, 6 from Plant Physiology and 13 from Human Physiology", he said. In NEET 2017 paper, each question carries 4 marks. For each correct response the candidate will get 4 marks. For each incorrect response one mark will be deducted from the total score. This year NEET exam was conducted in 10 different languages, compared to 8 last year; English, Hindi, Tamil, Telugu, Marathi, Bengali Assamese, Gujarati, Oriya and Kannada.